Lawrence Yip practised as an advocate and solictor upon admission to the Bar in 2001. By 2002, he had established his own law firm and commenced his full time legal practice specialising in the area of Intellectual Property. 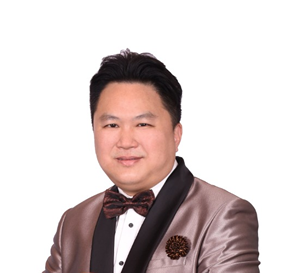 In 2004, he embarked on a strategic decision to venture exclusivery into the field of IP, which a significantly untapped growth potential at the time.This led to the establishment of TRADEMARK2U SDN BHD in 2004. As a highly-specialised firm, TRADEMARK2U continued to progress rapidly and eventually became one of the leading Intellectual Property companies in Malaysia. Currently, TRADEMARK2U expanded its wings to Thailand, Indonesia and Singapore. Research experience is in the field of environmental chemistry. She has worked in food company to research and develop new food product, modifying existing food products, checking and improving safety of consuming food products and calculating calories and nutrients of the food products. Aside from her area of expertise, she also works closely with inventors from a wide range of technical fields including biochemistry, construction and mechanical engineering. She assists clients with identifying potential areas of patentability. She is further responsible for patent search and drafting, with a special focus on chemistry inventions.